Choosing what to study at university can be tough – especially when you excel in both the Arts and the Sciences. Luckily at U of G, you don’t have to choose between the two! Our unique interdisciplinary Bachelor of Arts and Sciences (BAS) program allows you to study the world through both perspectives. As a BAS student you will select two minors, one in the sciences and another in either the arts or social sciences. These don’t need to be declared until your second semester, so take your time and use electives to figure out where your passions lie. Checkout our list of minors to see your options. You will take ASCI (Arts and Science) courses throughout all four years of study to help build your confidence as a speaker, researcher and writer. You’ll study how the Arts and Sciences intersect in society and look at case studies to learn about past and current global issues. With the seemingly endless combinations of minors you truly have the freedom to explore your personal interests and find your perfect niche. Many of our BAS grads go on to a variety of post-graduate studies including medical school, veterinary school, law school and teacher’s college to name a few. The flexibility in BAS allows most students to complete the subject requirements for professional school without having to enroll in additional semesters. In upper years you’ll have the chance to participate in a community project with options ranging from critically analyzing a case study to completing a volunteer placement locally or abroad! In fourth year, you can also participate in seminar courses exploring topics like Science and Gender, Evolution and Darwinism, Literature and Science and Scientific Racism. If you’re looking for an interdisciplinary program that gives you the freedom to explore your personal interests, discover your strengths and address complex social issues, look no further than Arts and Sciences at the University of Guelph. Visit the program page for more information and join in one of our chats to ask any questions you might have. Tips Tuesday Episode 3 – Chat with Us! Do you have questions about the University of Guelph, our programs, campus, admission requirements, or even just about student life? YOU'RE IN LUCK! We invite you to chat in real-time with Admission and Recruitment staff, students and other high school students interested in joining our community. These chats are a fantastic resource for all students wanting to learn more about what U of G can offer you. We host both online AND Snapchat chats, so you can talk to us on the platform of your choosing. Our online chats typically take place from 7-9pm and can be accessed through a Java Plug-in. Snapchat chats take place right in the app – all you need to do is add “uofgadmission” and send us your questions at chat time. Chat season is officially underway, so visit our website to view the schedule and for instructions on how to access our chats. Be sure to keep checking back as more dates are added. Choose a major, add a minor, complete a general degree with an area of concentration or go undeclared. We offer majors that can lead to graduate studies and careers in a broad variety of fields. You can also take advantage of the “Major to be Determined” designation and test drive some courses from different areas before declaring a major! The choice is yours Future Gryphons! Students have nothing but positive things to say about Professor John Walsh. Learn what makes him passionate about Classics and History on our IGTV 90 second interviews! Lawrence Hill, author of the Book of Negros and recipient of the Order of Canada, is another one of the amazing professors for our BA program. We encourage travel, exchanges and involvement in our campus to broaden your idea of what art is. If travelling isn’t for you, The Art Gallery of Guelph and the largest Sculpture Park in Canada are located right on campus. Visit the Study Abroad website for more information about our opportunities for travel. From environmental governance and political science, to more unconventional courses like Violence in Society, a BA will help you make sense of what’s on the news and identify your own solutions. Minors are optional but offered for most degree programs here at the U of G. Why not get some credit for your special interests and hobbies? Check out our complete list of minors on our website. Whether studying music, studio art or theatre; we start from the basics. There are no auditions or portfolios required for admission because we believe everyone should have an equal opportunity to discover and explore their creative side. Learn more about our Bachelor of Arts by visiting the program page, browsing the list of majors and checking out sample first year courses. Choose the program that will not only improve your life, but help you improve the lives around you. Interested in studying human nutrition and development throughout all stages of life? Want to gain a combined understanding of the biological, psychological, and social facets of human behavior? We have good news; our Bachelor of Applied Science program integrates theory and research to inform current practices for improving human life. Today we’re breaking down the 3 separate majors that make up our Bachelor of Applied Science program. As you read about them, keep in mind that there are many opportunities enhance your personal experience in whichever major you choose through practicums, co-op and field placements! Potential future careers: adult educator, elder caregiver, health promotor, counsellor or social worker. Students can pursue careers in fitness consulting, public health, research and more. Go on to pursue careers in areas such as early childhood education, mental health services, teaching or social work. If you are interested in exploring the factors that influence human development, including lifestyle, biology, psychology, nutrition and parenting; Applied Science at the U of G just might be a perfect fit for you! Visit the program page to learn more. Fall Preview Day was a BLAST! Thank you to all you Future Gryphons that attended on Sunday. If you weren’t able to join us, here’s a quick update on what you missed. 1. A campus celebrity was out and about! 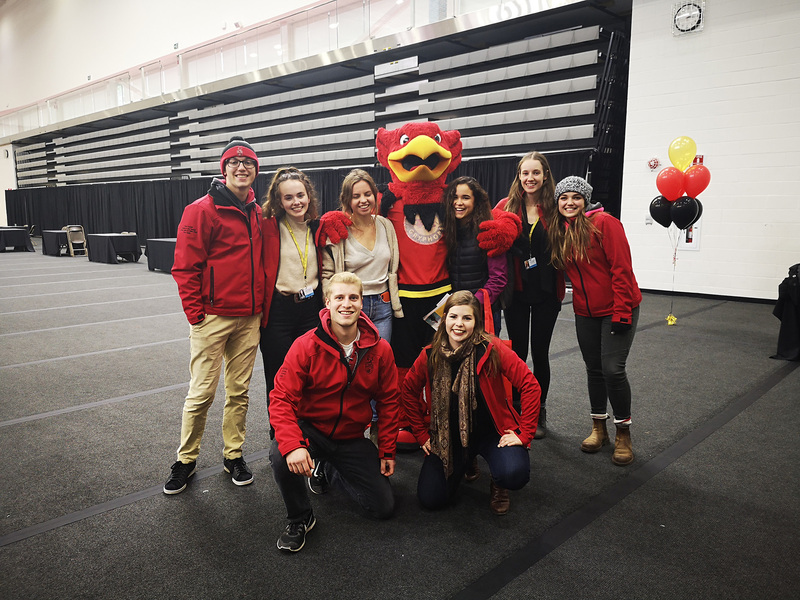 We know that a day like Fall Preview Day is the best time to get those insta pics – which is why our very own Gryph was out and about saying hi to visitors, hyping everyone up, and taking tons of pictures with everyone. Our welcome’s set the tone for the day: but it was the tours that made the experience that much more enjoyable. 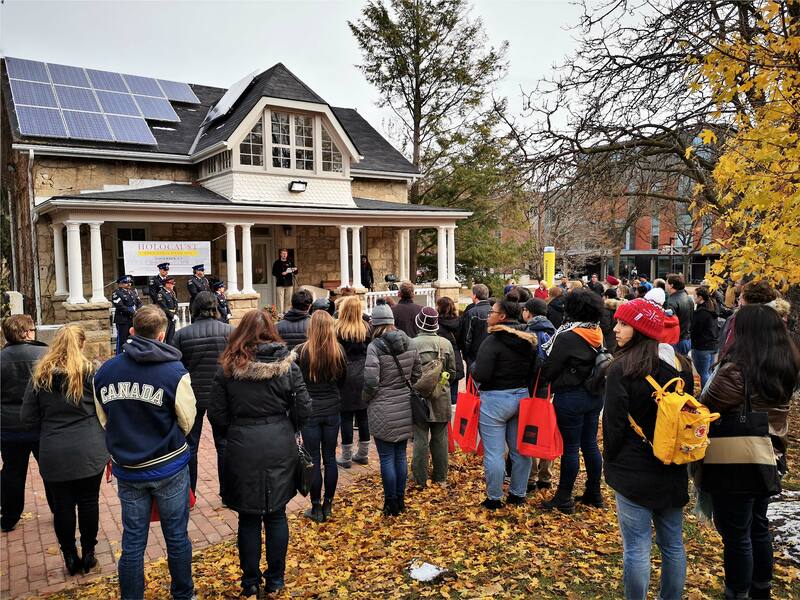 We had hundreds of U of G Ambassadors take Future Gryphons around campus, seeing everything from academic facilities to dining halls. Prospective students were able to check out classrooms, study spaces and so. much. more. Tours like these run all the time – visit our website to book a tour and see what we’re talking about for yourself. Future Gryphons visited every residence and checked out different rooms that you can live in while you learn here. We know that the residence experiences matters, and our residence teams were super excited to greet visitors and showcase their rooms. If you didn’t make it out, check out our Housing Website: they have virtual room tours. Staff, faculty and students were ready to share everything about U of G! We had academic information sessions and a massive Student Services & Academic Resource Fair where specific questions were answered and all details about campus were shared. 5. Our academic program buildings were hustling & bustling! All our major program buildings were open for Future Gryphons to stop by and check out! Staff, faculty and students were ready to answer questions about places like the Science Complex, Business building, our Arts buildings and more! There’s no better way to get a grasp on what your future could be like than seeing the rooms you’ll be learning in. 6. We took tons of photos and videos too! Our visitors took tons of photos and videos over the course of the day to remember their experience here at U of G, so we did the same! Check out this re-cap of Fall Preview Day and picture yourself here. Did you know we have an event created just for future scientists and engineers? That’s right Future Gryphons – Science and Engineering Sunday is right around the corner and today we’re letting you in on how to make the best of it. 1. Simply, You Should Be Here. Interested in cancer research, forensics, genetics, diseases and the human body? Fascinated by food and nutrition or plants and the environment? Do you want to be a vet, dentist or doctor? Does thinking about designing solutions for computing, biomedical or environmental problems thrill you? A hard YES to any of these? See you at SES. We’ve broken down both of our Science and Engineering programs. Read, find your interests and bring your questions! This is your opportunity to meet current students, staff and faculty from our science and engineering programs, as well as Admissions, Co-operative Education and Experiential Learning, Athletics, Hospitality Services, Student Accessibility Services, Student Financial Services, and So. Many. More. See our science labs, recently upgraded engineering facility, greenhouses and anatomy displays first-hand. Watch as students and faculty perform demonstrations and take part in activities relating to your area of interest. You will also get to explore lecture halls, the Athletic Centre, dining facilities and student study spaces on a guided walking tour. Questions about the Ontario Veterinary College? You’re in luck, future vets. Attend the Doctor of Veterinary Medicine information session to learn more about admission requirements and the program itself. Visit our residences and grab a bite to eat at one of our many dining halls. Explore the areas of campus that you’ll be spending a lot of time in if you choose the U of G! If Science or Engineering (or both) is your thing, register to attend Science and Engineering Sunday now! Head to our YouTube channel to see what went down at Science and Engineering Sunday in 2017! Science and Engineering Sunday is quickly approaching, so it’s about time we let you in on what the Bachelor of Science Program at U of G is all about. At Guelph, we break things down into Biological sciences and Physical sciences. The Biological Science programs explore all living things; from tiny organisms to large ecosystems and everything in between. If you are thinking of pursuing a career in the environmental industry or applying to veterinary school, dental school or the healthcare field, Biological science is likely the right stream for you. The Physical Science programs provide you with an understanding of the universe as a whole. You’ll look at the nature, substances, energy and matter surrounding living organisms. If you see yourself in the pharmaceutical industry or going on to do research in physics, chemistry or nanoscience, the Physical sciences are a great place to start! Now that we’ve defined our two Science streams, let’s go over some “need-to-knows” about Science at U of G.
Whether you are interested in human health, nutrition, earth sciences, chemical sciences, physics, mathematics etc. we likely have a program for you! With so many options available in Science at U of G, we recommend visiting the Programs of Study page to research each major individually and find the right fit for you. These majors include: Biochemistry, Microbiology, Biological and Pharmaceutical Chemistry, Biological and Medical Physics, Chemical Physics, Chemistry, Nanoscience, Physics, Biomedical Toxicology, and Food Science. New in 2019, the Marine and Freshwater Biology major will also offer co-op! Our science students take the same core science courses in first year, so everyone is on the same page about the basics. This sets our students up for success in later years so nobody is playing “catch up” in biology, chemistry and physics classes. This also allows you to explore different subjects and discover your true passions, so you can be sure you are in the major that best suits your interests! From experimenting in the lab to on/off campus research and volunteering positions, there is no shortage of hands-on learning opportunities at the U of G! For example, our Human Anatomy course gives Human Kinetics and Bio-med students the opportunity to dissect human cadavers; which are donated from the local community. U of G attracts roughly $146 million dollars in annual research funding – That’s more money than any other university in Canada without a medical school! From DNA barcoding to studying the effects of climate change on vegetation, there is no shortage of interesting research happening both on and off campus at Guelph. Learn how you can become involved in research at Guelph by visiting our Office of Research website. Future Gryphons, you should probably visit us at Science & Engineering Sunday to tour campus, residence and educational buildings, and meet faculty and students within your program(s) of interest. Register today! Want to learn how to push the limits of technology and explore new ways of thinking and creating? Our Bachelor of Computing degree program could be a great fit for you! We don’t need to tell you why technology is important. What we WILL tell you is why you should study Computing at U of G.
In Computer Science, students explore program-related problems and build solutions to contribute to the evolution of technology. Software Engineering students focus on the design, development, implementation and evolution of software systems. Graduates from both majors can go on to careers in software development, game programming, mobile app development and more! Both Computing majors offer the chance for experiential learning, networking, skill development and hands-on experience through co-op. In the past, students have completed paid co-ops at companies such as Amazon, Microsoft, Apple and Google! Visit the Recruit Guelph website for more information on co-operative education at Guelph. This is where you’ll learn to apply the concepts learned in your Computing major to a secondary area of interest. You will take 8 courses from your area of application throughout your degree. Because Computing is smaller than other degree programs at Guelph, students, professors and faculty typically form a very supportive family. We even have a community of female computer scientists and software engineers called CISters! Check out our Youtube channel to meet Aysu and learn about her experiences in the program. In 2016, U of G received $30million from the federal and provincial governments to enhance research and innovation facilities. Renovations on Reynolds building are officially complete leaving the School of Computer Science with a state-of-the-art space for student collaboration and research! If you want to improve life with technology, we highly recommend you visit us on Sunday, November 4th at Fall Preview Day. This is your chance to meet current Computing students and instructors, explore our updated facilities, and ask any questions you may have, so register today! Tips Tuesday Episode 1: Why Attend Fall Preview Day? Fall Preview Day is Sunday, November 4th Future Gryphons! Today, we’re serving up 3 MAJOR reasons you should register for Fall Preview Day ASAP. At Fall Preview Day you’ll get the chance to explore campus and get a feel for what it would be like to call U of G your home! Be sure to attend our info sessions, the Academic and Student Services Resource Fair, and various building drop-ins to learn what sets U of G apart from other schools. Walk the floor at our Academic and Student Services Resource Fair and meet current students. 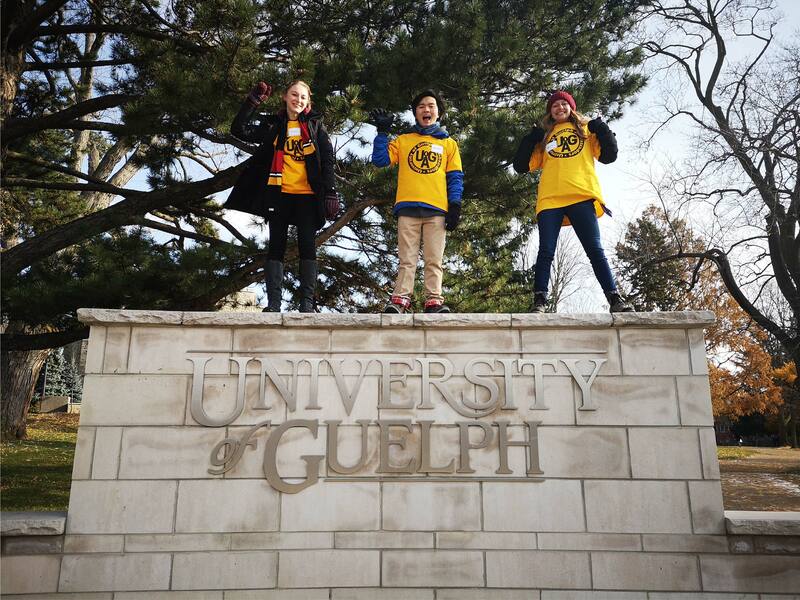 Learn why they chose U of G and ask about their on and off campus involvement. Make sure you ask them what they love most about the U of G! We also recommend stopping at one of our hospitality locations for lunch or a quick bite to eat. Our incredible food is one of the many things keeping our students so satisfied. The University of Guelph ranks #1 for receiving the most research dollars of any comprehensive university in Canada! Chat with professors and staff at our Academic and Student Services Resource Fair to learn what’s being done with that funding and how you can get involved in research at the U of G.
If you want to learn about our programs, explore our campus, try our food, talk to current students and professors or all of the above, visit us for Fall Preview Day on Sunday, November 4th, 2018.